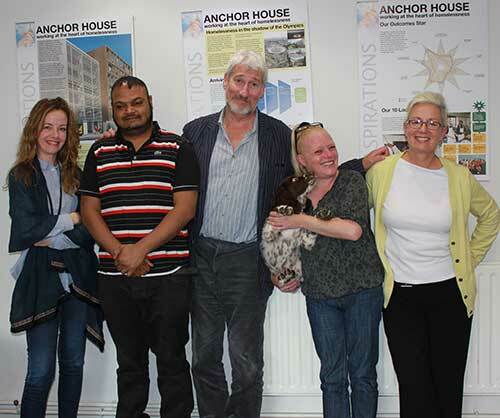 But this week the Patron of homeless charity Caritas Anchor House listened intently as some of East London’s homeless residents recalled what it was like for them without the support of family and friends, that so many of us take for granted. “Caritas Anchor House is a wonderful place, providing sanctuary for people who have – often literally – nothing but the clothes they stand up in. Through hard but very valuable and inventive work, they help people who have obviously been through quite a lot in their lives to get back up and they now have huge ambitions for the future. If you would like to find out more about the work of Caritas Anchor House, please visit www.caritasanchorhouse.org.uk. You can also support them donating – simply send a cheque payable to Caritas Anchor House to FREEPOST – HOMELESS, 81 Barking Road, London E16 4HB.